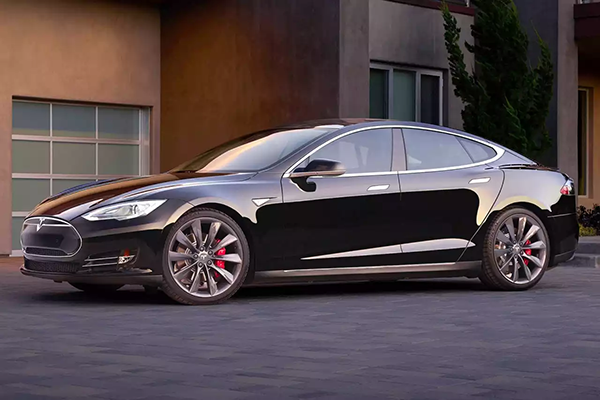 Let me tell you, who wouldn’t want a Tesla Model S like this one? They’re handsome, go faster than most supercars, are perfectly silent, and best of all they never ever need gas. Electric cars were a novelty ten years ago, but in some parts of the country it’s quite routine to see them. In addition to the Tesla, arguably the most popular car, there’s Nissan’s Leaf, Chevy’s Volt and Bolt, and the Toyota Prius Prime. They all promise low or no gas consumption and energy costs that compare to paying about 30 cents a gallon. It’s a dream come true for commuters. But of course, even though energy comes cheap with an electric car, it doesn’t come free. Everything that uses electricity drains your battery, and the more the battery is drained, the sooner you stop driving. “Range anxiety” is still a big problem for people who are used to finding a gas station on every corner. If it takes even an hour for you to charge up, that’s a real change to the way you live your life. Even though most people drive under 60 miles per day, there’s always a concern that you could run out of juice. So, knowing that your phone needs power to charge and the more power the take the shorter your trip needs to be… should you charge your phone in your electric car? The answer is: of course, don’t worry about it. The average cell phone charger uses about 12 watts. Even the “fast charge” adapters use about 30 watts. The capacity of even the smallest electric car is about 30,000 watts, while Tesla’s offerings start at 75,000. Seriously, it would take MONTHS to drain your car’s battery just by charging a phone and you’d have to be actively charging the whole time you’re going it. You use more electricity turning on your car’s headlights than you do charging your phone and you wouldn’t consider leaving your lights off in the dark, right? So seriously, don’t worry about it, it’s just a total non-issue.